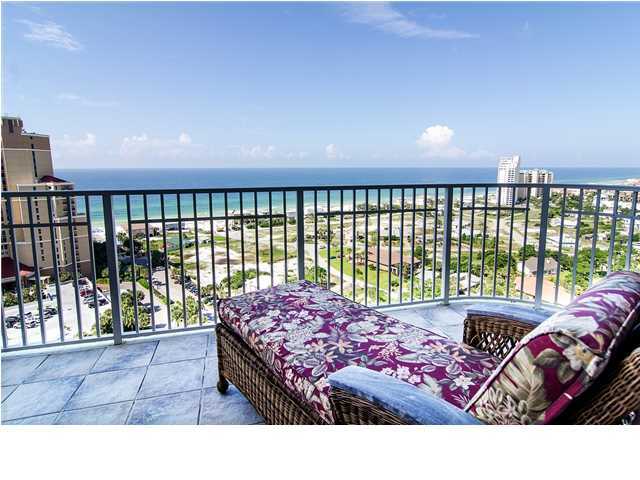 The Gulf views from this two-floor penthouse condo on the 19th floor of Sandestin’s exclusive, gated community in One Beach Club Drive are breathtaking. The spacious living room with vaulted ceiling allows for ample sunlight to pour into the condo. 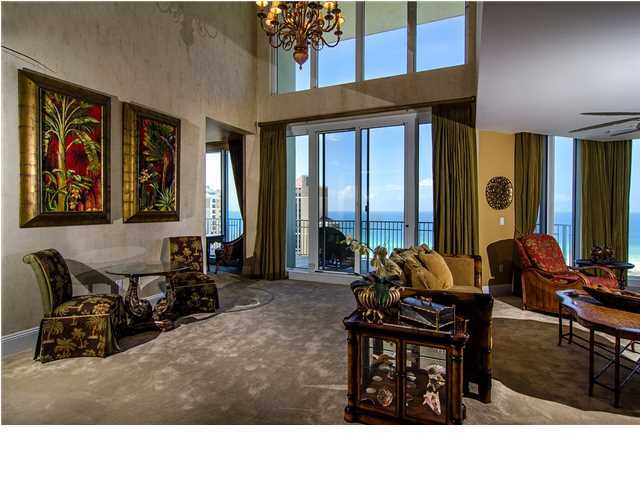 Sliding doors from the living room lead out to the deep balcony overlooking the emerald waters of the Gulf of Mexico. 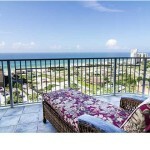 This condo will be sold furnished with a few exclusions. The first floor has the first of two master suites – both with walk-in closets and dual vanities, as well as separate shower and tub in the bathrooms. Equipped with stainless steel, GE Monogram appliances, the modern kitchen is ready for preparing beach snacks or a full dinner for family and friends. Granite countertops and under cabinet lighting are also included in the kitchen. A dining nook off the kitchen has seating for sit-down dinners. And there is also a half bathroom on the first floor as well. Walking up the stairs or entering from the 20th floor doorway, the second floor has the second master suite, another bedroom and a loft space with storage closet for lounging or a sleeper sofa. A laundry room with full-size washer and dryer are also on the second floor making cleaning beach towels a breeze. Both second-floor bedrooms have a private balcony. 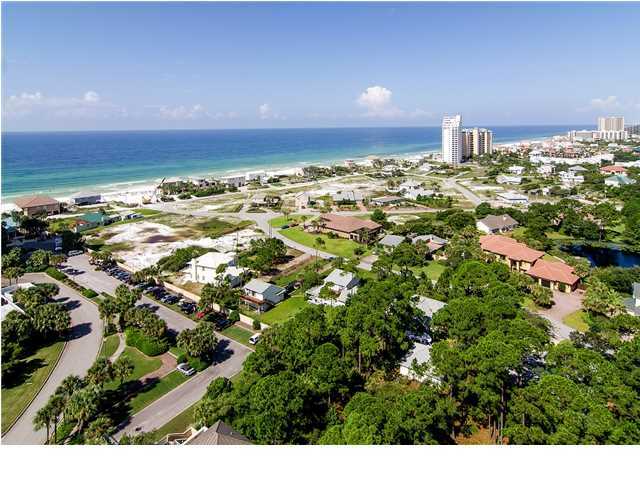 The Sandestin Beach Club is right next door allowing for easy trips to the beach. Plus, the private, two adjoined garage parking spaces with storage ensure you’ll have enough room for your car and beach supplies. One Beach Club’s exclusive amenities include a large lagoon pool, two tennis courts, a fitness center, a media room, a poolside grilling area, a meeting/social room with game tables and a kitchen. 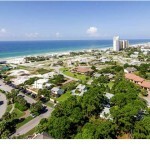 One Beach Club also has two guest suites that owners can use for overflow family and friends. 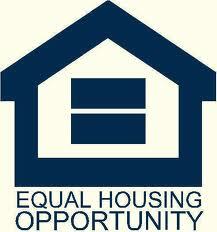 All square footage and room dimensions are approximate and should be verified by the buyer.